Milford Photo has cameras and accessories available for rental. To reserve rental equipment or for more information about rentals, browse the list below or call the store - (203) 882-3415. 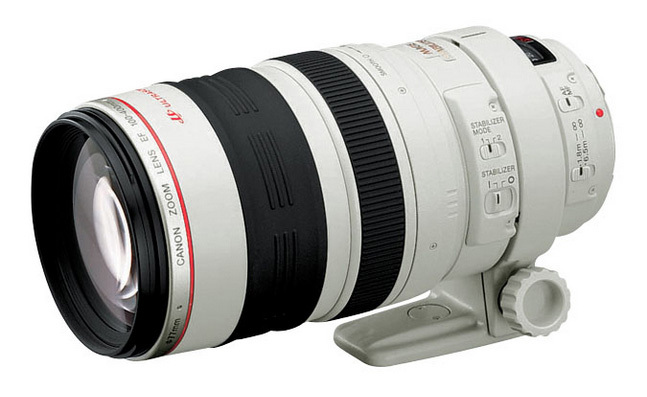 Canon's 100-400mm super-telephoto zoom provides cutting-edge performance, compact construction and brilliant resolving power that’s great for sports and wildlife photography. Reserve this lens today and get outstanding results in a wide range of shooting situations! * A weekend constitutes anytime Friday to Monday and the fee is for 2 days (one day free). If you rent for the weekend and pick up the gear on Saturday, you will be charged for 1.5 days (equipment returned on Monday). Equipment available for rental may change at any time. Consumables: You are responsible for providing your own media cards, extra batteries, AA batteries for flashes, and any other consumables. These items are not provided with the rental gear. Rental Period: Gear can be rented on a daily or weekly basis. The rental charge for a 7-day week is 3 full days at the daily rate. If your rental period includes a Sunday, that day will be charged at half the daily rate, because the store is closed on Sundays. Rental days are 24 hours - if you rent for a weekend (Friday to Monday) and pick up at noon on Friday, you need to return by noon on Monday. Security Deposit: For the duration of your rental period, your credit card will be pre-authorized for the pre-tax value of the gear at the time of rental pick-up. For example, if you rent a $2,000 lens, your credit card will be pre-authorized for that amount while the lens is in your possession. There are no exceptions. Returns: Upon return, gear is inspected for condition and accessories. Damage or failure to return accessories will result in a penalty charge determined by renting agent. Late returns will be assessed an additional fee. Please Contact Us if you need to cancel your rental reservation.